(MENAFN - GetNews) Market Research Future Recently Added Premium Research Reports on 'Healthcare CRM Market Research Report – Global Forecast till 2023' Which Gives in-depth Analysis of Regional data with Size and Share of Top 10 Players in the Globes. The Global Healthcare Crm Market held a market value of USD 7.9 billion in 2017 and is projected to grow at a CAGR of 13.8% over the forecast period. Customer relationship management (CRM) is a tool used as an approach for managing interactions with patients and helps in managing, coordinating, and automating the business processes. CRM analyzes and segments consumer and patient populations which ultimately aids in measuring the success of engagement tactics using configurable reporting. The benefits of CRM solutions, such as the easy arrangement of customer data and interactions and the simplification of business processes (customer service and support, marketing, sales, and digital marketing) is expected to boost the growth of the market over the forecast period. 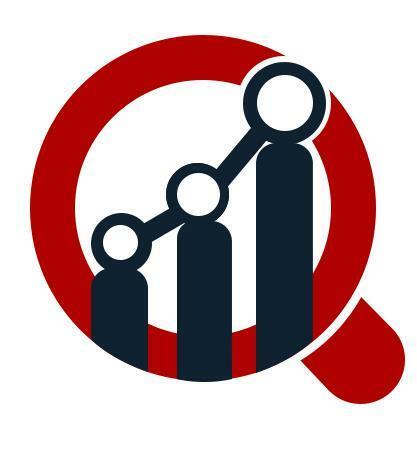 Additionally, increasing emphasis on patient engagement and rising demand for structured data and automation in healthcare organization are fueling the growth of this market. As per the data by HIMSS Mobile Technology Survey (2015) stated that 93% of physicians believe that mHealth apps can improve patient's health and 40% of physicians believe mHealth technologies can decrease the number of visits to doctors' offices. However, high cost and complexity of CRM and concerns regarding data security may high cost and complexity of CRM and concerns about data security may hinder the market growth during the assessment period. On regional basis, the Americas is anticipated to dominate the global healthcare CRM market owing to the growing clinical R & D budgets by both governments to encourage the adoption of healthcare IT and electronic health record (EHR). According to The Office of the National Coordinator for Health Information Technology, a division of the U.S. Department of Health and Human Services in 2015, 84% of hospitals adopted at least a Basic EHR system in US. Europe is expected to hold the second largest position in the global healthcare CRM market owing to the excellent network and IT development in the region. Moreover, growing effort of CRM providers on developing and commercializing Artificial Intelligence (AI) and analytics-powered innovative CRM solutions, and the growing number of Accountable Care Organizations (ACOs) is driving this market in European countries. The Asia-Pacific region is anticipated to be fastest growing region is due to improving quality of healthcare systems, rising medical tourism market and increasing government initiatives. According to a study published by the Indian Journal of Science and Technology in 2016, the EHR adoption in China was projected to be about 96%. The Middle East & Africa has the least share of the global healthcare CRM market. Moreover, the major market share of the region is expected to be held by the Middle East region owing to the increasing demand for the novel technologies in healthcare sector.